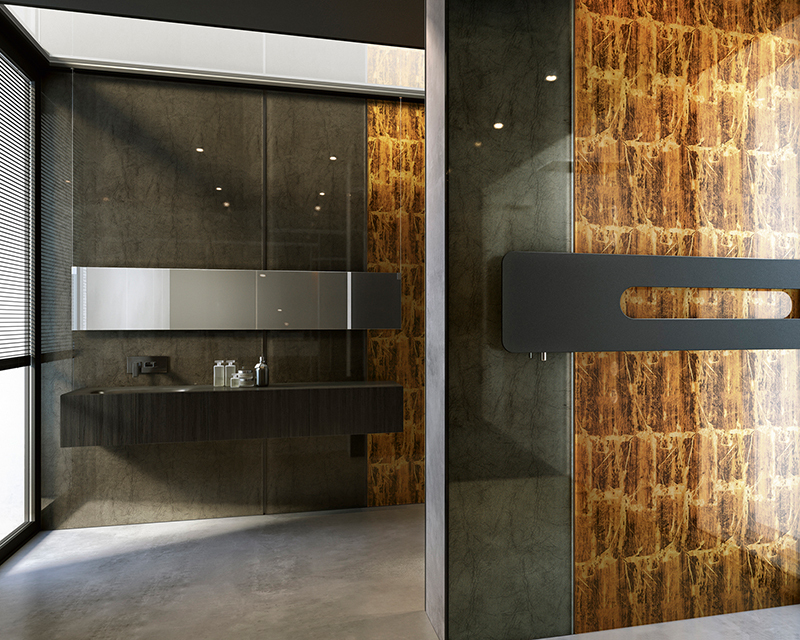 Large format thin Glass panels -VETRITE- a luxurious surface cladding. 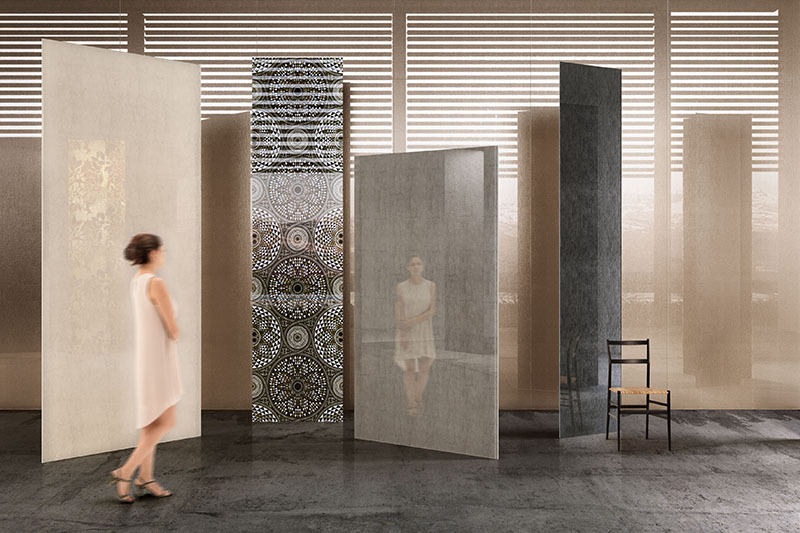 A natural evolution from mosaics to large surface coverings, SICIS inhouse R+D and creative teams through intensive research have developed a new and unique large format collection. 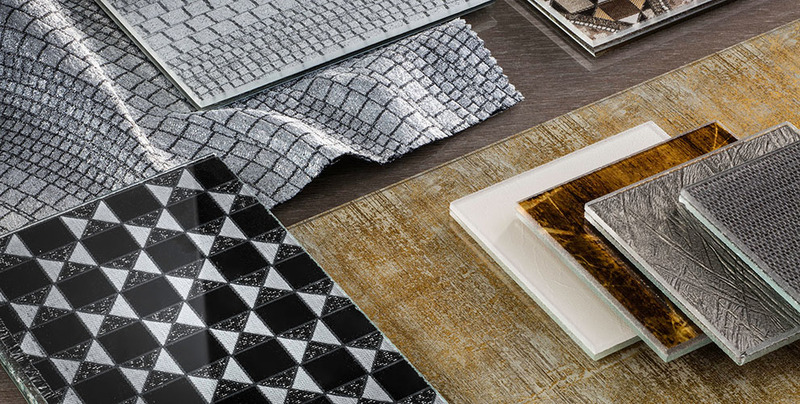 SICIS Art Factory meticulously mixes technology and alchemy with artisanship in this collection that finds a precise intuition creating a truly avante guarde and unique aesthetic. These unprecedented thin glass slabs are available up to 120 X 280 cm in either 6mm or 12 mm thin, depending on the particular application. This product is both pure and strong and particularly versatile for all design styles. Suitable for an infinite range of applications such as furniture, counters, doors and lighting, providing unprecedented design solutions. SICIS is proud to present Vetrite, dedicated to the love and passion of providing distinctive quality and character to every application.